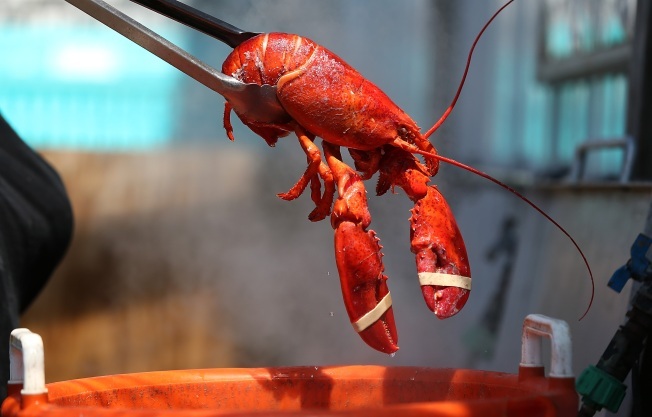 A federal judge has sentenced a Maine man to eight months and ordered him to pay more than $65,000 in restitution for evading income tax and for illegal sales of lobsters. Robert Thompson, who was sentenced Thursday, pleaded guilty in December to one count of evading income tax on under-the-table cash transactions he made while dock manager for the Spruce Head Fishermen's Cooperative. Prosecutors say he paid cash for lobsters and then sold them for cash to a company in Eliot, Maine. The 53-year-old Thompson from Rockwood also pleaded guilty to violating the Lacey Act, which makes it a crime to purchase or sell fish or other wildlife in violation of state law. IRS Special Agent in Charge William Offord said everyone pays "when others swindle the government." Police: Break-in Suspects Were "Very Drunk"